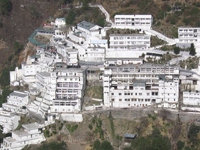 3 Nights 4 Days Vaishno Devi Tour.. Situated on the banks of River Lidder, Pahalgam is a popular hill station with its district headquarters at Anantnag. In the past, Pahalgam was a famous spot for Bollywood films. Tourism in Pahalgam is popular due to the awe-inspiring beauty of this town that has encouraged nature lovers and trekkers to give frequent visits here. 35km from Pahalgam lies Kolahoj Glacier lined with pinewoods. 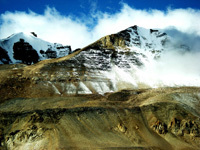 It is an important spot for trekkers to mark their start. Tourists who are planning their Pahalgam vacation for spiritual reasons also come here in large number. Pahalgam packages are essential for those tourists who participate in annual Amarnath Yatra. Approximately 16km from Pahalgam lays Chandanwari from where the religious and soul inspiring Amarnath Yatra begins. The best time for this journey is July-August. Pahalgam trip till Chandanwari is much easy and can be covered via car. However, the journey then onwards can be covered either on a pony or on foot. The next stop is mountain lake ‘Sheshnag’ which is almost 11km from town Chandanwari. The last stop is Panchtarni, which is 13km ahead of Chandanwari. From there the Amarnath Cave is just 6km away. The cave of Amarnath is visited by the newly wed couples too, to seek God’s blessings. 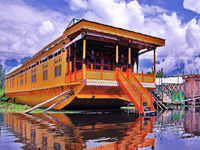 Pahalgam honeymoon packages thus play an important role for them as after the yatra the couples can enjoy the scenic beauty of the place. Honeymoon packages in Pahalgam are both fun and spiritual. Surrounded by its rich flora Pahalgam offers the calm and private time the couple needs. 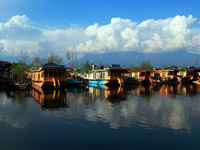 With Pahalgam tourism packages, enjoy an excursion on the conventional houseboat called Shikara in the pleasant Dal Lake. 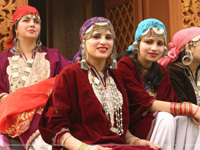 Pahalgam holiday packages connect the country domestically too. 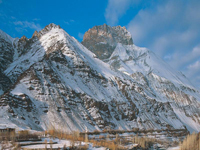 With Pahalgam packages from Bangalore, Pahalgam packages from Chennai, Pahalgam packages from Mumbai, Pahalgam packages from Hyderabad, Pahalgam packages from Pune and Pahalgam packages from Delhi you can now visit this beautiful city hassle-free.